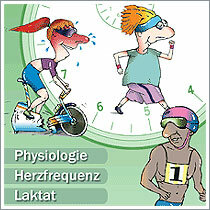 Whether for healthiness, fitness, recreational sport or match preparation: Only targeted and healthy training leads to real success! 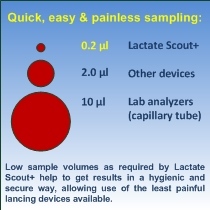 The individual optimum training level can precisely be determined only by measuring the increasing lactate value in blood: Inefficiency of the training can be identified and avoided in time; remarkable increase in endurance performance, optimum fat catabolism and a more balanced activity of the heart can be realized in a professional way by lactate control! 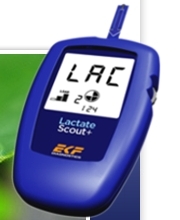 Caused by its easy, comfortable and safe use, the Lactate Scout+ is the ideal companion for clubs, teams and amateurs! Accredited as medical device according to EU directive IVD (CE 0123), high ergonomic and security standards are guaranteed in personal use or for medical application.